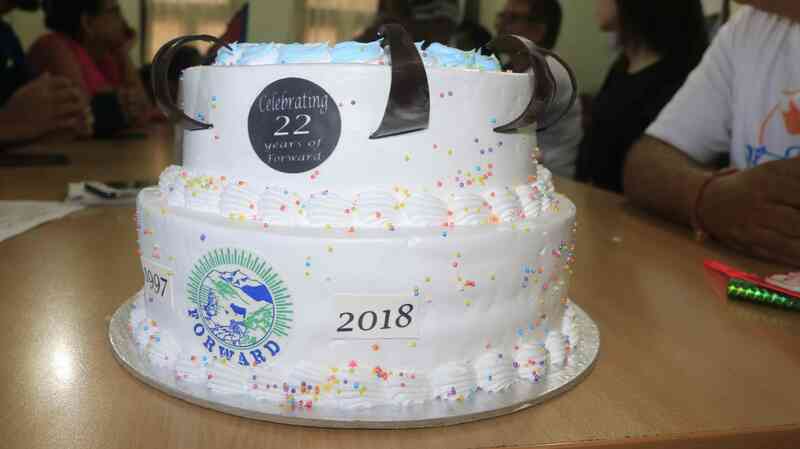 On September 01, 2018, FORWARD Nepal completed its 22 years of establishment. The day was celebrated amidst a function in the presence of founder members, board members, general members and staff at the Head Office. The programme was inaugurated by Prof. Dr. Durga Devkota, Vice President, by lighting the panus and watering a pot plant, followed by cutting of FORWARD's 22nd birthday cake. Thereafter, the FORWARD Day message was released jointly by the Chairperson and Executive Director. 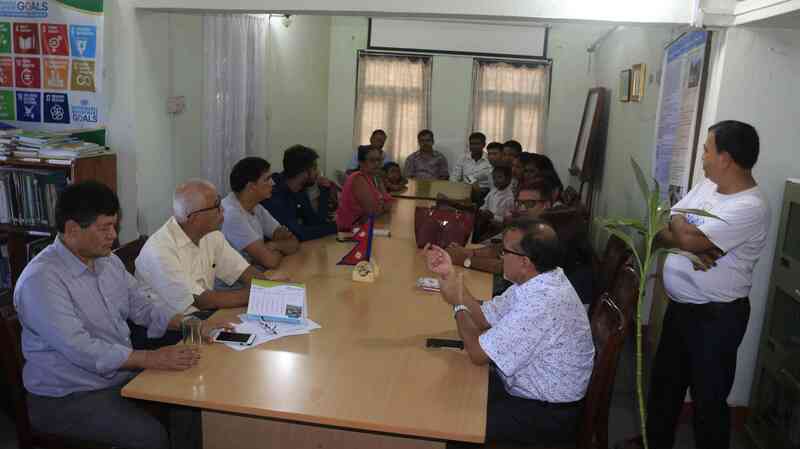 Prof. Dr. Nabaraj Devkota (Member), Mr. Yam Bahadur Thapa (Founder Member) and Prof. Dr. Durga Devkota (Vice President) expressed their best wishes to the organization for its future endeavors. 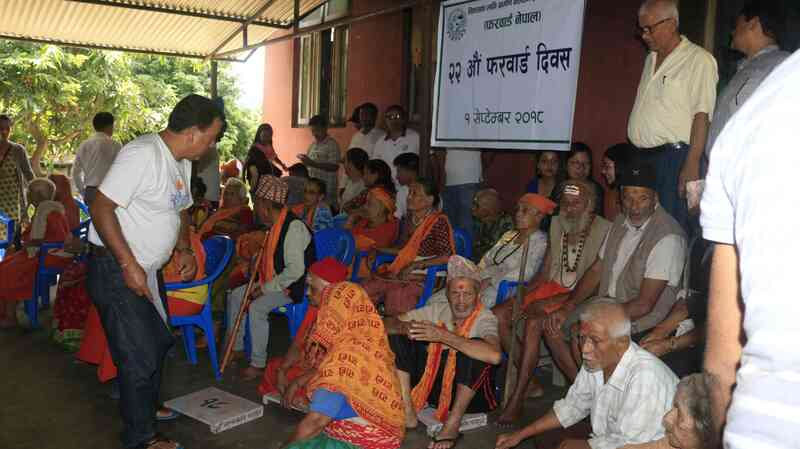 The second part of the event was celebrated at Bridhhashram, Devghatdham, Tanahun. 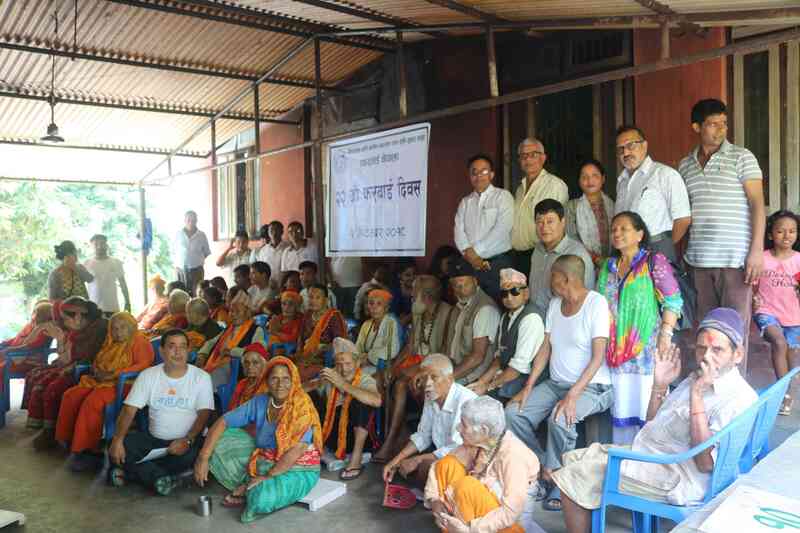 Mr. Tanka Nath Poudel, Chairperson of Devghat Area Development Committee (DADC) was invited as a Chief Guest in the event at Devghatdham. 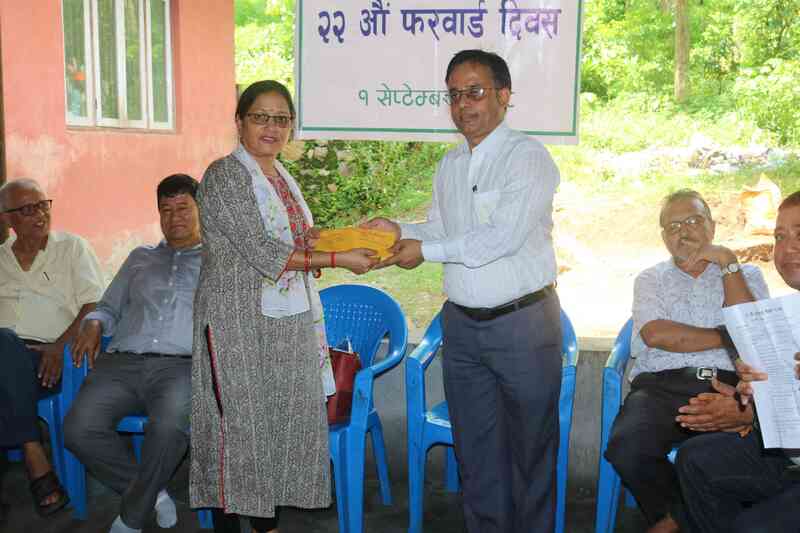 In the occasion, Mr. Netra Pratap Sen, Executive Director, FORWARD Nepal and Mr. Tanka Nath Poudel, DADC, Chief Guest of the programme delivered wishes on the 22nd FORWARD's Birthday. 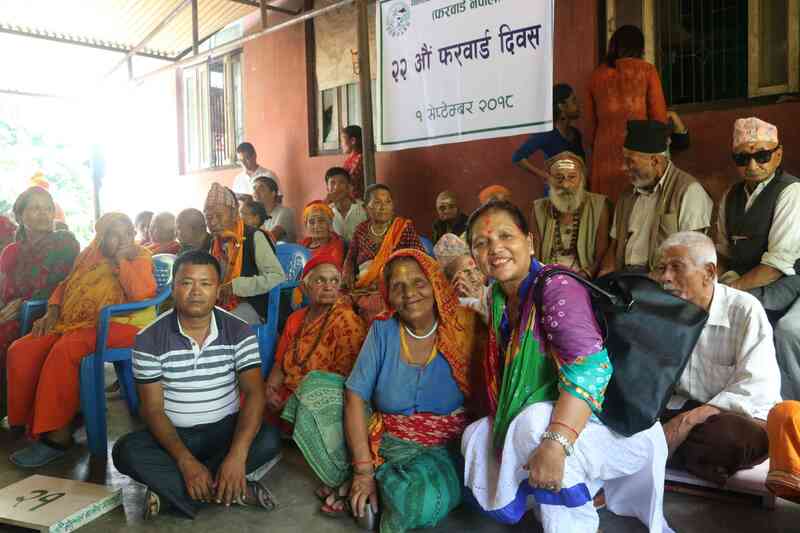 This was followed by a joint Bhojan (lunch) with senior citizens of the Bridhashram, DADC and FORWARD Nepal's family. Like in the previous years, a sum of NRs. 7,000 was donated to the Achchhaya Kosh of DADC.